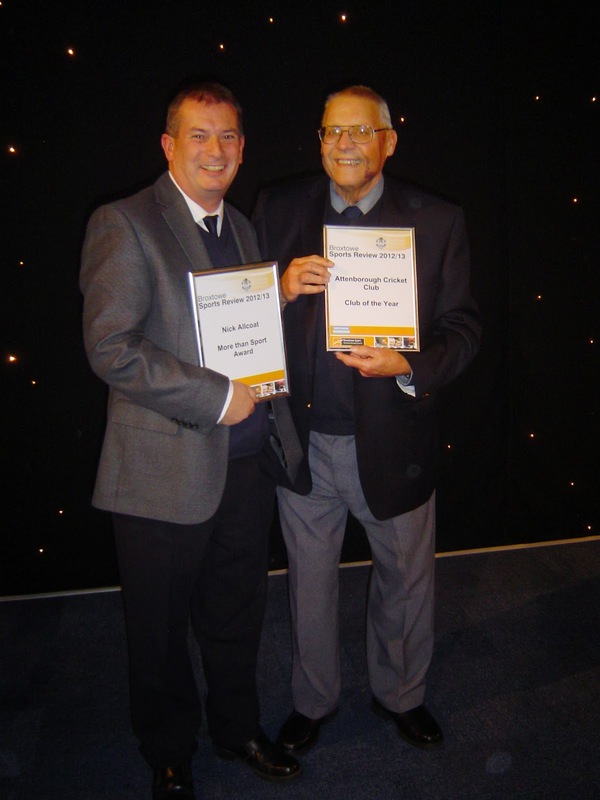 In a fitting climax to the 2013 season, President Geoff Gooch and Chairman Nick Allcoat attended the Broxtowe Sport Awards Celebrations at the East Midlands Conference Centre last weekend. I am delighted to be able to inform you that the club were crowned 'Sports Club of the Year'. This is a great achievement, won in the face of some stiff opposition and is in recognition of everyone's contribution and support on and off the pitch throughout the club, from the youngest junior member to the oldest senior. Truely inclusive! Just for good measure, Nick picked up the More than Sport Award. Thank you to everyone who has made 2013 such as success, - playing, coaching, administrating, catering, building and supporting.